Home Causeacon 2018 Matt is coming back! 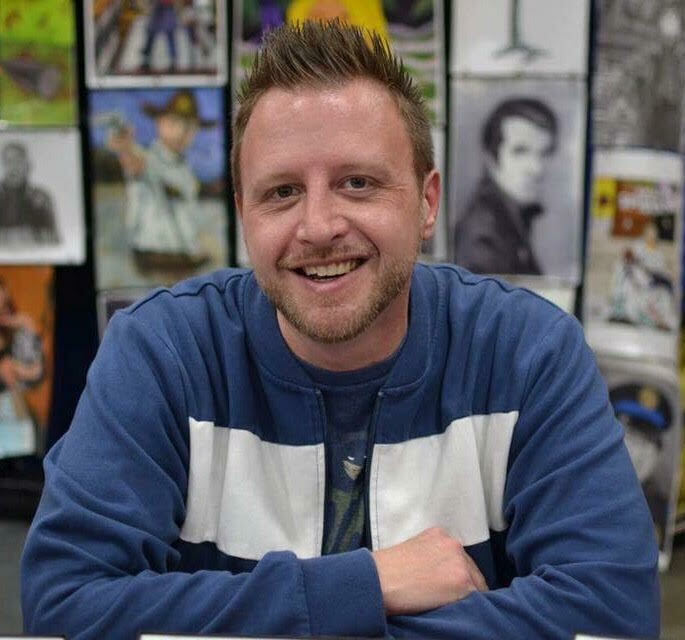 Get ready art fans, Matthew Atchley is returning to Causeacon 2019! 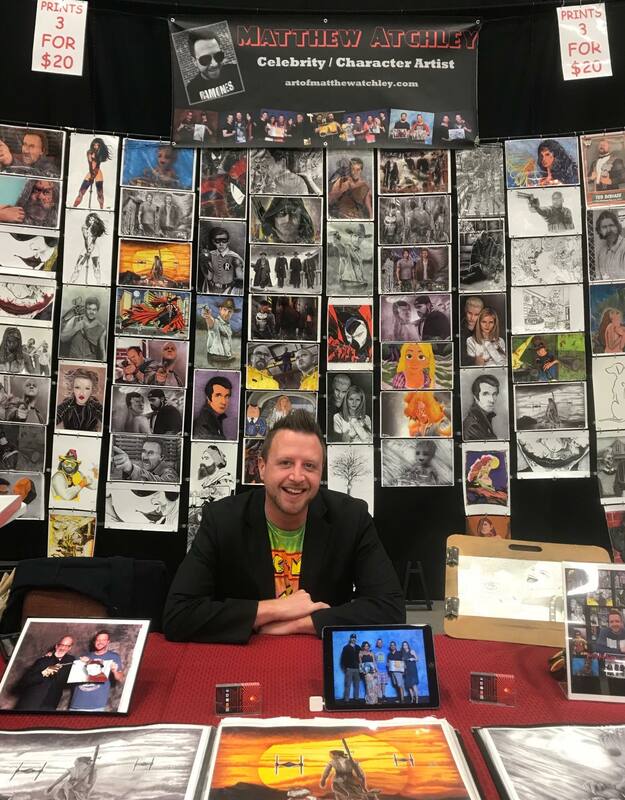 Some of you remember this fun, amazingly kind and friendly artist and now TV Star, Matthew Atchley from Causeacon last year, well he is making a come back this year! We’re so excited to have him back this year and did you know he is now featured on television? Matthew Atchley is an artist and actor raised in Strawberry Plains, TN. As a child, he often loved escaping into the worlds of television, film, and comics. Matthew enjoyed theater throughout his high school and college days and garnered roles in many productions. He also directed and sometimes guest starred in an independent sketch comedy series. 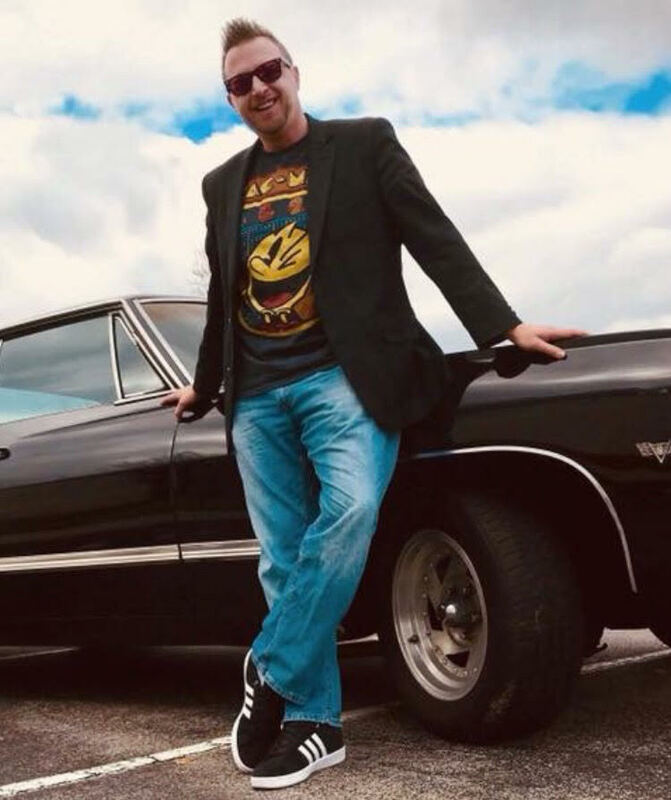 A graduate of Middle Tennessee State University, Matthew focused on the technical side of television production for many years. His passion and creativity soon had him yearning for a change. He began creating fan art for his favorite celebrities. He soon caught the eye of the actors he drew and began to get personally asked by celebs for portrait work of their own. Matthew began making appearances at comic and pop culture conventions nationwide, working alongside and befriending many of today’s top actors. His new found friends soon began to encourage him to return to his acting roots. Matthew resides in the East TN countryside with his wife Leslie, and the menagerie of animals they often rescue. He balances his career between his hand drawn and hand painted artwork, convention appearances, and ever growing acting projects. Glad to have you back Matthew! Next PostBob Vance is coming to Causeacon!